Snazzy and snuggly, polished and practical - she will reach for our faux suede fit-and-flair coat day after day, year after year. 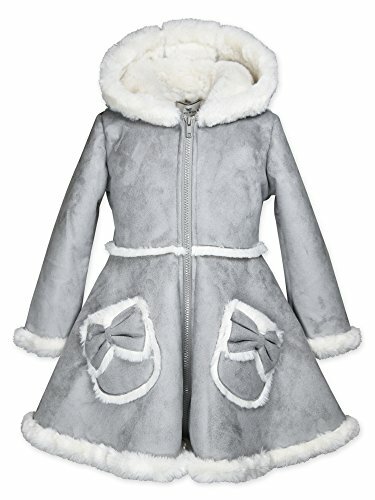 The brushed faux suede outer is trimmed in the same ivory faux fur that fully lines the body, skirt, hood, cuffs, and pockets. Two trimmed bows embellish the plush pockets. Zip closure.